Over the past few weeks, the EVO 4G has been the one of the best android handsets that you can buy. 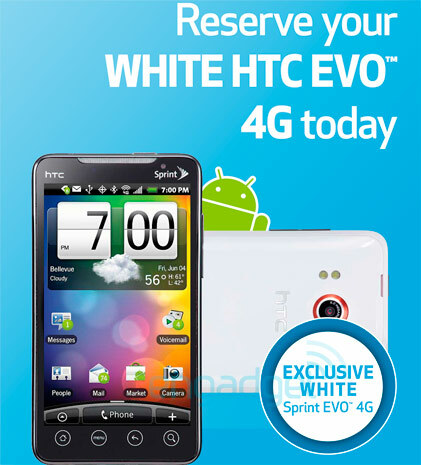 And when you thought it couldn't get any better, it did, as the of today you can pre-order a white EVO 4G! The handset will be sold exclusively through Best Buy until August 8th when the Sprint store will have it and September for all other retailers. So assuming that you managed to not get a balck EVO 4G and that the price will stay the same at $199, you must be mad not to get the white version.